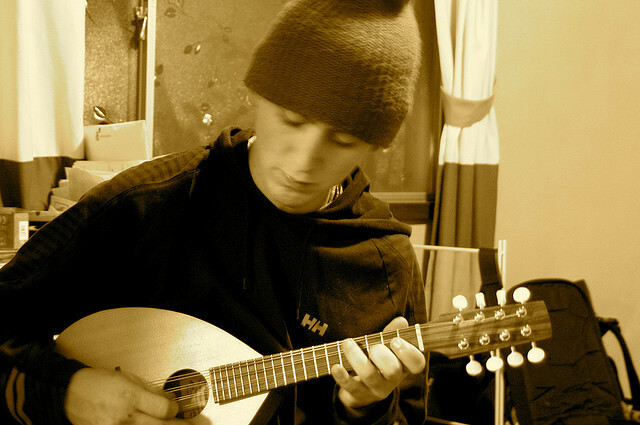 Adam and his mandolin in Japan. Photo via flickr. Like the majority of American’s in their early 20s, Adam McGrath is making big transitions in his life as he finds his path. Granted, his transition is from pro cyclocross racer to rural homesteader, but it’s a transition just the same. More focused on sustainable living than podiums and prize money, Adam’s chosen to settle down on a small piece of land on Washington’s Olympic Peninsula rather than continue traveling the country and world to race cyclocross. In Part one of the interview, we talked about Adam’s rise to the ranks of pro cycling and his formative years of nearly-constant world travel. Part two picks up with Adam’s disenfranchisement with professional racing, the balance he finds living on a farm, and his future as a professional cyclist.